Have you ever tried chai and chocolate together? If not, you are truly missing out. This is one combination that we insist you try immediately — preferably by making these chai chocolate chip scones. 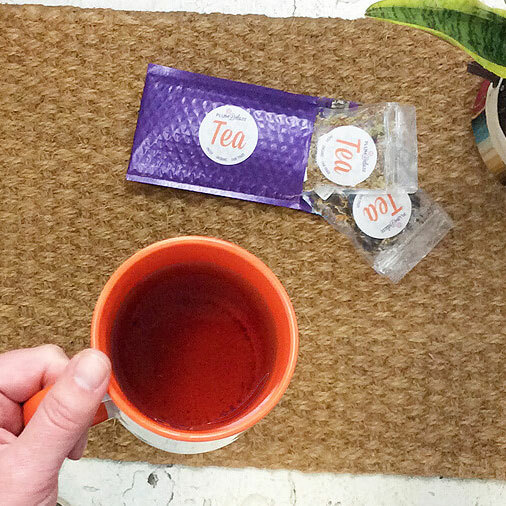 Easy to love for so many reasons, they’re sure to become a tea time favorite. The combination of spices in traditional chai blends lends itself so well to the deliciously unique flavor of chocolate, even accentuating it. 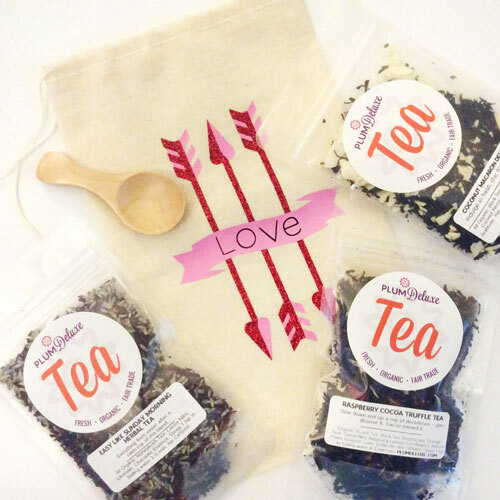 Together they create a spicy-sweet blend that is perfectly delectable. While the chocolate adds sweet decadence and pops of flavor, the spicy chai notes give a comforting feeling that warms you from the inside out. 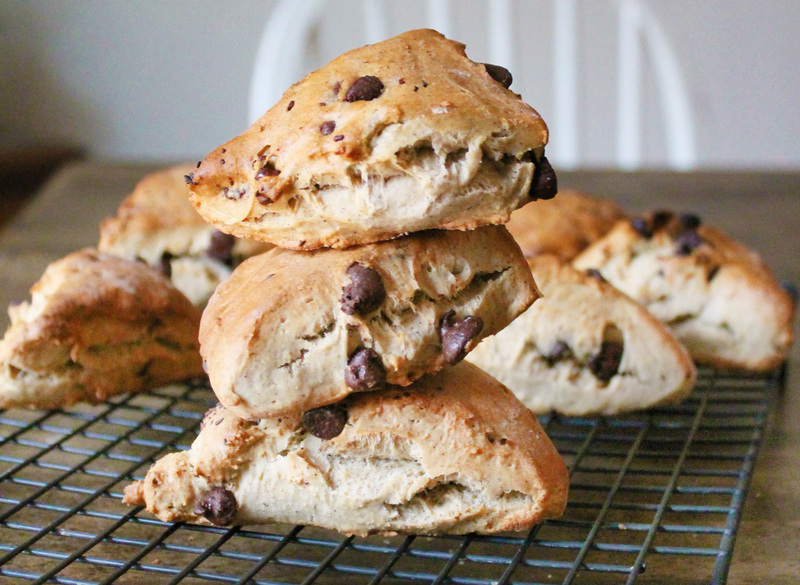 Because these scones are so delicious, we wanted to make them a little healthier. Ya know, so we don’t feel bad eating them every day. To do that we opted to use whole wheat flour and sweeten them with honey instead of granulated sugar. 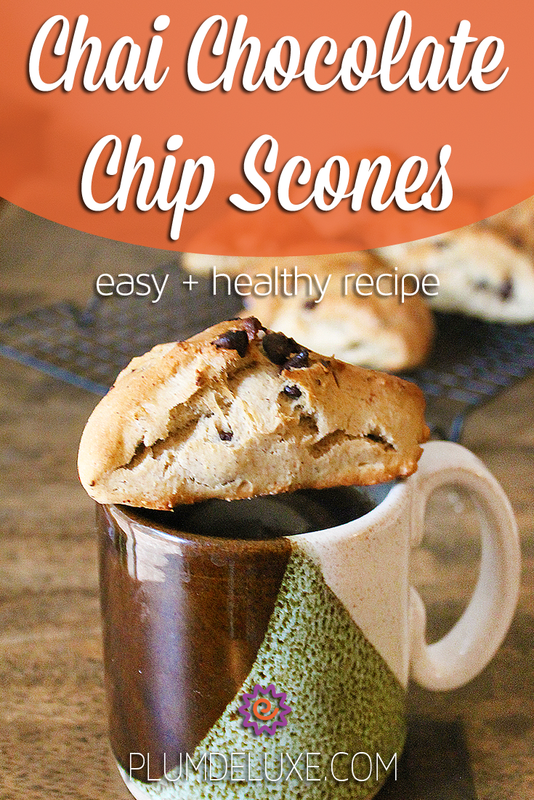 You could take it a step further by using a reduced sugar chocolate chip if desired. We put these two together in a traditional scone recipe to create a spice-sweet treat that is perfect for these chilly winter days. It’s also a great dessert scone after dinner. Pair it with a healthy, warming meal such as a vegetable soup or our winter wild rice and lentil salad. 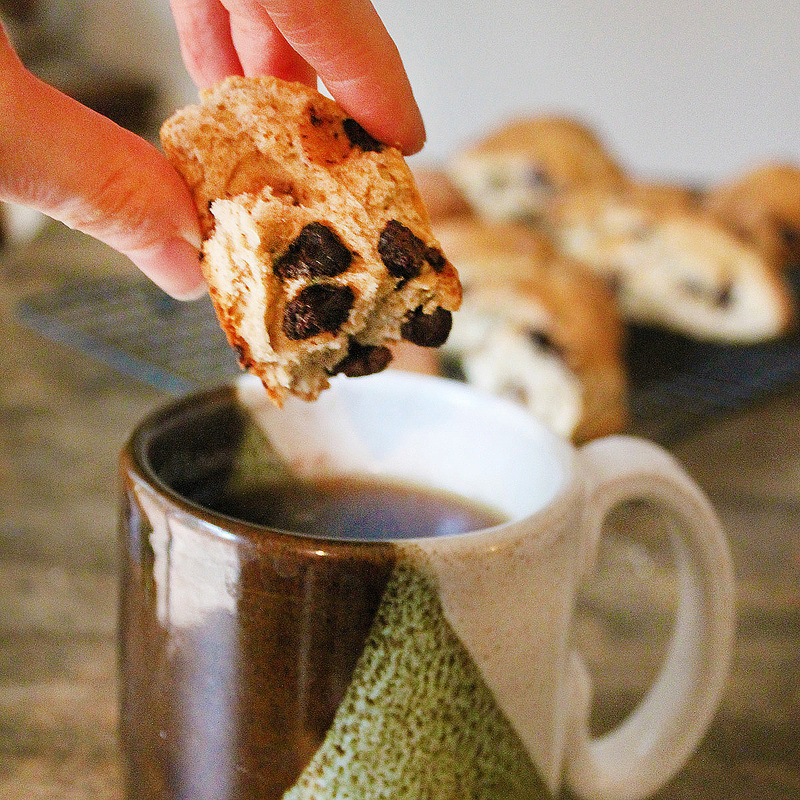 The flavors also make these chocolate chip scones easy to pair with our Chocolate Hazelnut Chai tea. 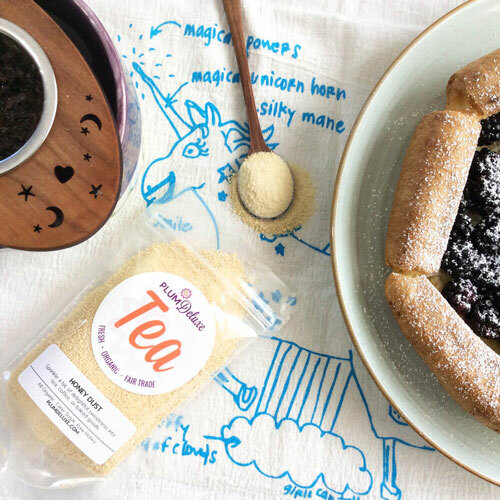 This limited-edition tea has the perfect blend of chocolate and hazelnut along with traditional chai spices to blend perfectly with the similar flavors in this scone. Afraid of overdoing the chai? 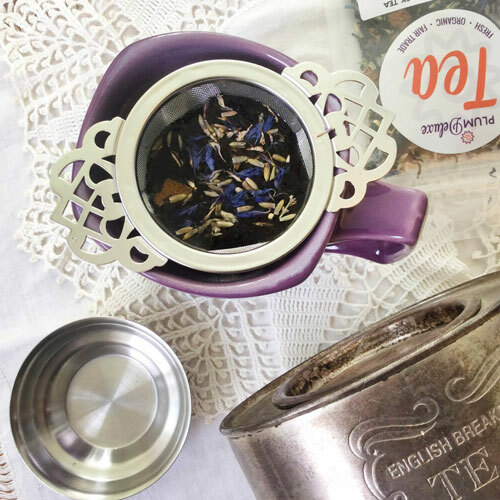 Then dial it back with a simple black tea such as our House Blend black tea. Another really great complementary tea for these scones is our Vanilla Latte tea, with its hints of cardamom. Combine flour, baking powder, baking soda, cinnamon, cardamom, nutmeg, ginger and cloves in a large mixing bowl. Add in the butter and, using a fork mix until a crumbly mixture is formed. In a small bowl, whisk together the egg, honey, and milk. Add the egg mixture to the flour mixture until well blended. Add the chocolate chips to the bowl and mix until just incorporated. Transfer the dough to a piece of parchment or lightly greased work surface (a floured surface will only dry out the dough more). Flatten the dough to about 1/2 or 3/4 of an inch thick. Using a butter knife or pizza cutter cut the dough into triangles. Place the scones on a parchment-lined baking sheet, and brush with a small amount of milk. Place in the oven and bake for 18 to 20 minutes, or until the tops are a medium golden brown.